Rating from A+ to F: I gave this book an A-! You can find why with the rating analysis at the end of my review, with a parental review. Where The Truth Lies is definitely a book with a heavy message. I had no idea the message of this book until about halfway into it, and I have to say it was beautifully written even considering the main idea of the story. (I can't tell you what that message is since it would be a spoiler, but you have to figure out for yourself by reading it!) This book is definitely a thrilling page-turner and I had to find out what happens as soon as I got into it. When you first begin to read this book, you find Emily to be the perfect girl, living at a boarding school where her father is the headmaster. Emily has a great life, except for her nightmares which fill her dreams with horror. Whenever she has these nightmares, they seem so familiar to her, but she can't place where they come from. So, basically readers are led onto thinking the main problem in the book is the nightmares, but you'll find out as you read it...it isn't. That's just a side problem. 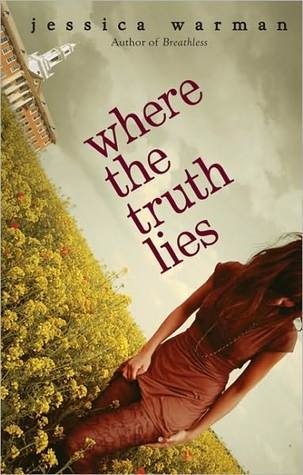 Emily learns secrets and lies, but she also has secrets of her own. When she meets Del Sugar, everything changes in her life and Emily is faced with things she doesn't know how to handle. I guarantee that you won't be disappointed by this book, with wonderful writing from Jessica Warman. 1. Plot-18 out of 20 points. 2. Characters-15 out of 15 points. The characters were well-developed in the story. 3. Writing-20 out of 20 points. Beautiful writing! 4. Creativity-14 out of 15 points. 5. Originality- 6 out of 10 points. Not a very original book, I could think of a few books like it, but that was my only problem with the book. 6. Ending-14 out of 15 points. 7. Cover- 5 out of 5 points. Really pretty cover! Drug/Alcohol Use- You will find a few pages with drug use in this book. I'd recommend this book to ages 14 and older. 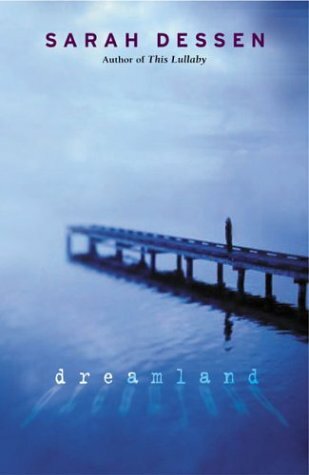 I just finished reading Dreamland, and that was for the second time. Sarah Dessen is an AMAZING writer, and this book really shows her true talents of writing. You can understand the book perfectly, and find it so interesting, that you can't put it down! The book does have a slow beginning, but as soon as you get farther into the book, you won't be able to get out of it! You can realize that Rogerson does come into Caitlin's life at the right time. She is dealing with her sister, Cass, running away, and Rogerson takes Caitlin's mind off of Cass. But, Rogerson does have problems with his anger: whenever someone is late, he becomes very anxious. During the book, I was basically pleading with Caitlin to somehow end the relationship before things got worse, but the book ends in a perfect way, and is by far a great book for teens to read and learn a moral from. 1. Plot- 18 out of 20 points. 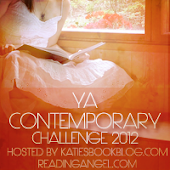 My only problem with the plot of this book was that some parts were slower than others, but overall a very good plot! 2. Characters- 15 out of 15 points. Sarah Dessen did a great job at developing the characters in her book! 4. Creativity- 14 out 15 points. There isn't a lot to be creative about in this book, but Sarah still did a great job with showing an important issue in relationships. 5. Originality- 9 out of 10. 6. Ending- 15 out of 15. I thought it was an amazing ending! This definitely would be for mature teenagers, and it is a book with a very heavy message of abusive relationships. I would rate the age for this book 14 and older. 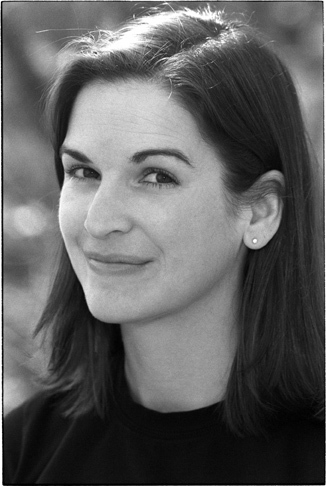 Sarah Dessen is the author of six novels for young adults. Among other accolades, That Summer, Someone Like You, Keeping the Moon, Dreamland, and This Lullaby have all been chosen as Best Books for Young Adults by the American Library Association, and This Lullaby was a finalist for the L.A. Times Book Prize. In addition, That Summer and Someone Like You were adapted for the movie How to Deal, starring Mandy Moore. Sarah Dessen's most recent novel is The Truth About Forever. Ms. Dessen lives in Chapel Hill, North Carolina, with her husband, Jay, and teaches creative writing at the University of North Carolina at Chapel Hill. Perfect, picturesque Orchard Hill. It was the last thing Ally Ryan saw in the rear-view mirror as her mother drove them out of town and away from the shame of the scandal her father caused when his hedge fund went south and practically bankrupted all their friends -- friends that liked having trust funds and new cars, and that didn't like constant reminders that they had been swindled. So it was adios, Orchard Hill. Thanks for nothing. Now, two years later, Ally's mother has landed a job back at the site of their downfall. So instead of Ally's new low-key, happy life, it'll be back into the snake pit with the likes of Shannen Moore and Hammond Ross. But then there's Jake Graydon. Handsome, wealthy, bored Jake Graydon. He moved to town after Ally left and knows nothing of her scandal, but does know that he likes her. And she likes him. So off into the sunset they can go, right? Too bad Jake's friends have a problem with his new crush since it would make Ally happy. And if anyone deserves to be unhappy, it's Ally Ryan. Ally was hoping to have left all the drama in the past, but some things just can't be forgotten. Isn't there more to life than money? I wasn't expecting much out of this book, it was just a book I had picked up at the library, and was interested in because of the cover. But, as soon as I started reading it, it drew me right in. I really liked the way the book was formatted: starting with a month and a little gossip: which kind of gives you a glimpse of what might happen in the chapter. The chapters are narrated by Ally, the main character, and Jake. Jake. At first, he seemed to me like an ordinary rich kid: stuck-up, popular, and obnoxious. But, as I kept reading, Jake seemed like a normal boy, but acts like a rich teenager. He really grew on me as the book progressed, and I became more interested in the love life of Ally and Jake. I felt bad for Ally: her old friends weren't interested in her anymore after what her father did, but then she gained a few more friends, not the popular group, or the "Cresties," but the normal group of teens, the "Norms." It was fascinating to see that Jake was interested in Ally, even though she was a Norm now. He would stick up for her when her friends were playing pranks on Ally...or at least didn't take part in it. At first, he was scared to talk to Ally, afraid his friends wouldn't want to hang out with him anymore because of it. But, by the end of the book, Jake didn't care what his friends thought. The ending of the book was surprising, and made me want to know what happens next. And, I mean I was obsessed...looking up when the sequel comes out, He's So Not Worth It, (by the way it comes out June 7th), and marking down that I HAVE to get it! I don't think any teen readers will be disappointed in this book. 1. Plot: 17 out of 20 points. At some times, I was a little confused with the plot and events in the book, but I still thought it was a very good plot and these were very few times! 2. Characters: 13 out of 15 points. I thought the characters were pretty well developed! 3. Writing: 20 out of 20 points. Kieran Scott is a very good writer and I loved the way she wrote this book! 4. Creativity: 15 out of 15 points. I thought how she would put a month with some gossip at the beginning of a chapter, was very creative and I loved it! 5. Originality: 9 out of 10 points. This book is pretty original, and there aren't many other books with a plot like this. 6. Ending- 15 out of 15 points. Very good ending and can't wait to read the next book in the series! 7. Cover- 5 out of 5 points. Love the cover! Kieran Scott is a young adult author who was born, bred and still resides in New Jersey along with her husband Matt and her two-year-old son. A graduate of Rutgers University with a double-major in English and Journalism, Kieran worked as a YA editor for several years before striking out on her own as a writer. Her first hardcover novel, Jingle Boy (Delacorte Press), was published in 2002. Her next book, I Was a Non-Blonde Cheerleader (G.P. Putnam’s Sons, 2005) was an ALA Quick Pick, an NYPL Book for the Teen Age, and was featured on the Texas Library Association’s TAYSHAS Reading List for 2006-2007. The book spawned two sequels,Brunettes Strike Back (2006), and A Non-Blonde Cheerleader in Love(2007). Kieran’s fifth hardcover novel, Geek Magnet, was published by Putnam in 2008. 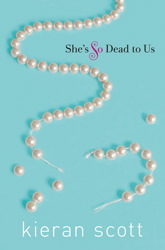 She’s So Dead to Us, the first volume of her new trilogy about friendship, love and the things that really matter, was released in May 2010 from Simon and Schuster.